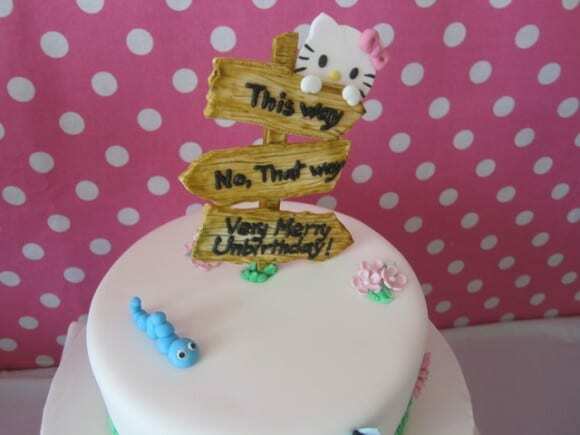 We've been seeing a lot of Hello Kitty parties on our site. What I love the most about these parties is how easy they are to add other elements to make them unique. 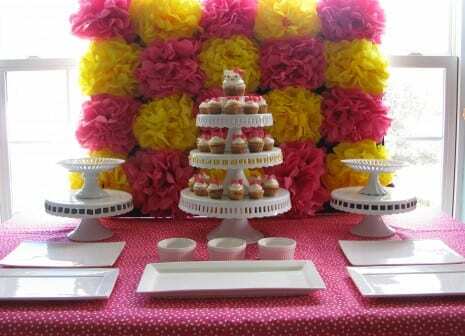 I saw this pom pom backdrop Sarah Y of Sheek Shindigs made for her Hello Kitty Inspired Birthday Party and I loved it!! What a fuffy, colorful way to make a statement! I asked Sarah if she would put together a tutorial and she so graciously said yes. Thank you, Sarah! Pom pom backdrops are super easy, very inexpensive, and so versatile. These can be used as a backdrop for a dessert table, art on the wall to add to your parties decor, or as a "photo booth" backdrop.